Continuously improve vehicle functions and react fast to security issues through software updates over the air. 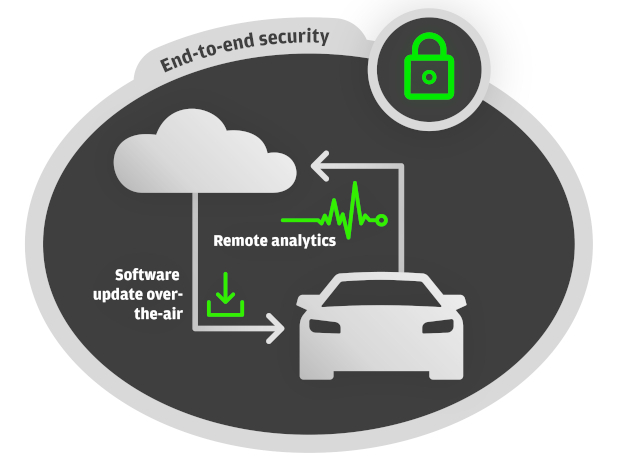 A connected, but not updatable vehicle is a huge cybersecurity threat. Therefore, vehicles need to be updatable over the air. Apart from security, consumers are used to the short innovation cycles compared offered by their smartphones and computers. That is why over-the-air updates are becoming the method of choice for distributing everything from infotainment system features to operating system security patches and ECU updates or configuration changes. With EB cadian Sync, Elektrobit offers a reliable, scalable, flexible, and secure toolchain for software and firmware updates over the air. Our scalable, modular, and agnostic back-end solution for fleet, software, and campaign management can be seamlessly integrated into your system architecture. Efforts are reduced, and operations are facilitated by using one platform with the same user interface concept for different services. The update master, which is responsible for uploading the updates from the back-end into the vehicle, is modelled with a graphical tool to be exactly adaptable to your specific requirements. The implementation of the update master into your on-board software environment will be generated out of this model. This approach provides you a well testable and reproduceable core component. The on-board system architecture can vary in different vehicle projects. Thus, we offer a solution where our update master can be flexibly integrated onto the specified target ECU that is responsible for the overall update process. The EB update master is available for a wide range of operating systems, including Classic and Adaptive AUTOSAR. Independent of the preferred platform, the update master provides the seamless integration into the OTA update environment. Our solution follows a two-step campaign approach to reduce bandwidth usage by eliminating unnecessary downloads. This two-step approach also enhances the overall solution. A mismatch between the expected and the existing vehicle configuration will be detected and resolved, thus reducing the number of failed updates within an update campaign. The ability to create a differential file between the initial software version and the new software version on a binary level additionally saves bandwidth and decreases the vehicle downtime. EB is supplying a delta update solution from Argus that inherits patent-pending differential algorithm. In certain hardware environments, the delta update does not even require an adaption of the update target. With A/B updates you can achieve in the best case scenario a zero downtime of the vehicle for the whole update process. By downloading the new software into a separate area of the target while driving, the time that is required for the update will be dramatically reduced. And as the old software still remains in place, a local rollback can be done with very low effort. 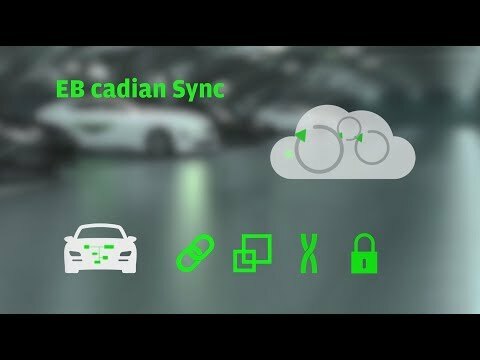 Watch the video to see how EB cadian Sync works. Protecting the vehicle network from outside attacks is our priority.